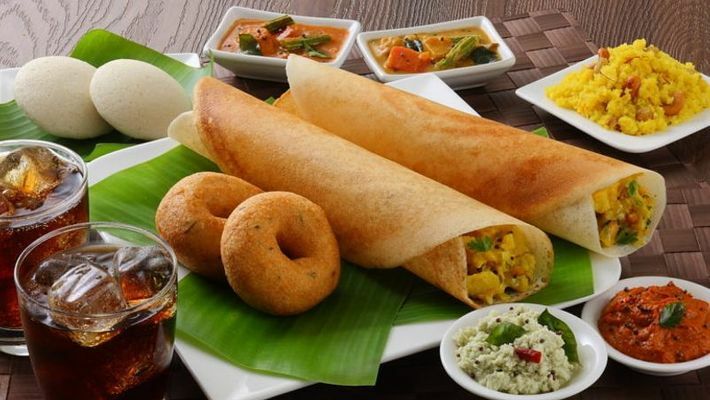 South Indian cuisines are well-loved for their taste and for being light on the stomach. However, there are some cuisines that are unhealthy for everyday consumption and should only be a part of your cheat day. On an average, a plate of Medhu Vada consists of 300 calories and this is without the added calories from sambar and chutney. What makes this dish so unhealthy is the mixture of black gram and rice, which is quite harsh on the stomach. Your stomach needs something easy to digest early in the morning. These steamed pancakes are known for its no fat content. However, the problem lies in the batter. Idlis are usually made with white rice which is loaded with simple carbohydrates. In the end, idlis give energy but these carbohydrates get used up very easily and you will feel hungry soon. However, using millets or brown rice could make it healthier. This rice based dish is stuffed with potatoes and is laced with oil. A plate of masala dosa is believed to have more than 350 calories. In addition to this, the potato stuffing and the oil makes one sleepy and sluggish. Poori is widely consumed in South India but this staple is unhealthy since its fried. Instead of poori, you should opt for chapati which is made with no oil. This breakfast staple, consumed mostly in northern Kerala, increases the cholesterol level and is quite poor in nutrients. Parotta, made with maida and palm oil, has a high glycemic index which meals that the excess glucose gets secreted when you eat it and this gets stored as body fat. Palm oil is high in calories and fat and this leads to weight gain. Your body will benefit from fiber and minerals such as manganese and iron when you eat Tapioca. However, this tuber is rich in calories and it hampers weight loss. It's not a good option to eat this Kerala dish even though the tuber is boiled. This dish, which originates in Karnataka's Mangalore-Udupi region, is tasty but that's about it. The only source of nourishment in this dish is the mashed bananas which have potassium. In other words, this is just masala poha, This dish from Karnataka's Mangalore region is spicy and tangy but the flavour results from ingredients that could add to the cholesterol level. Made with coconut jaggery and tamarind, this isn't an ideal breakfast option.